While Apple might not admit it, the company seems to have a clear preference for iOS, leaving macOS and its users a bit under appreciated. But the company is slowly adding new capabilities to its desktop operating system, making its latest major release, macOS Sierra, the closest it has come so far to an iPhone or iPad. After the new iOS 10 was announced earlier this month, along with the new iPhone 7 and other products, it was finally the Mac’s turn. And just to make sure it didn’t feel left behind, Apple added some of the features you can now find on iOS to Sierra. For business users, the new additions are incremental changes that will improve some of the tasks you perform on your PC, but there is nothing groundbreaking. Here are some of the features you will find in the new OS. After some prodding and pressure from Microsoft’s Cortana in Windows, Apple has relented and Siri is now available on Sierra. If you haven’t used the current batch of AI assistants, you will find they can really make your workflow run much smoother. In addition to asking Siri for directions, the time, and the weather, you can ask for help adjusting system preferences, finding documents, sending messages and email, looking up information, searching a user’s photo library, and more. If you want to pay for something on a website with Apple Pay, there are around 300,000 participating websites that will let you complete your purchase with Touch ID on iPhone 6 or newer devices and Apple Watch. 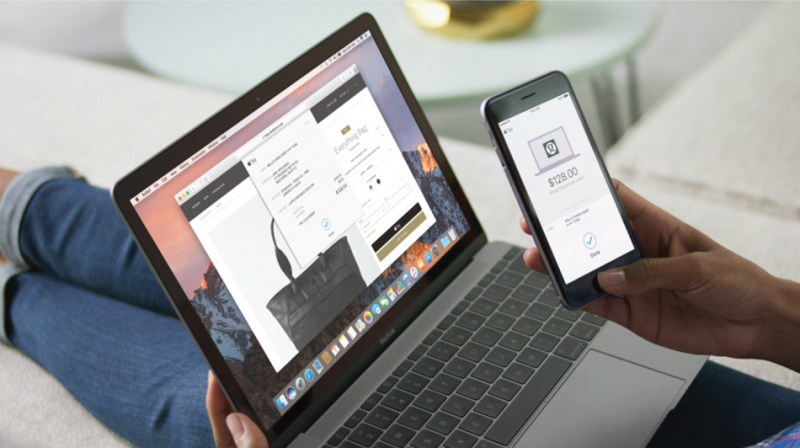 Apple says it doesn’t share your credit or debit card information with online merchants and it uses strong encryption to protect all communication between your device and Apple Pay servers. This can really simplify the way you pay for the supply and services for your small business. The PIP feature, which has been available on the iPad previously, lets you watch a video from a Web page by extracting it and placing it on your desktop without the other content of the website. If you switch to other desktop applications, the video continues to play. 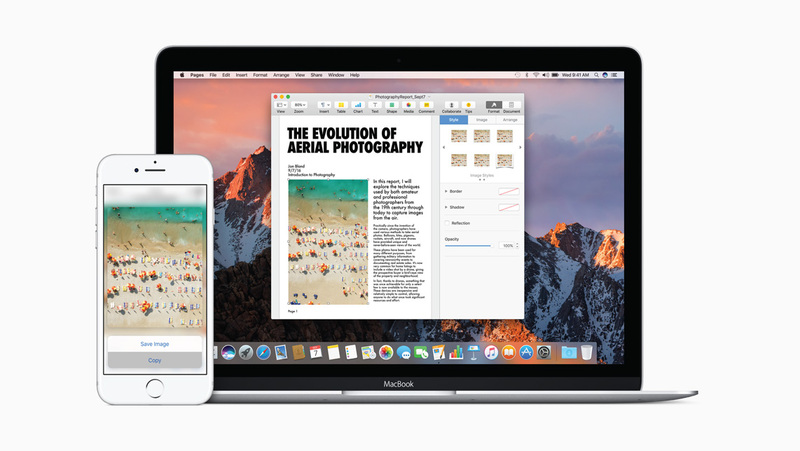 Even the smallest businesses may have more than one device, and with the continuity feature Apple introduced last year, your files can now be synced across your phone, tablet, laptop and desktop with the help of iCloud. So if you make an update on your iPhone, when you go home and use your Mac, you will have the latest changes. This is a great feature for any business, because it simplifies your workflow by not having to go over any changes you make at your office or home. The feature that is getting the most attention in Photos is Memories. It can group pictures and videos from your library based on times, locations and people, and create short slide shows based on the selections. It uses advanced computer vision to identify faces, objects and scenes in images so you can search by who or what is in it. Mail has a new quick filter that lets you look at messages that you haven’t read, as well as messages with attachments, flagged messages, and messages that you have been CC’d on, are addressed to you specifically or are from VIPs. If your business email address is out of control, this is one way to ensure you get the most relevant emails. Collaboration is on everyone’s list of options when it comes to functionality, and Notes has a real-time collaboration feature that lets you invite a user with Apple ID so you can view and edit the document together. You can send the invite using Twitter, Facebook, Mail, Messages, AirDrop, and more. Optimized storage can detect when your hard drive is running out of room and it automatically frees up space on your computer by sending the files to the cloud if they haven’t been used in some time. The feature also gets rid of junk files. You can now copy content from an app on your iPhone or iPad and paste it into another app on another Apple device, which in this case would be a desktop or laptop. And with iCloud Desktop and Documents, you can access files on your Desktop from an iPhone and iPad. You now have more granular control when it comes to autocorrect. Whether it is correcting spelling, capitalizing words or adding a period at the end of a sentence you can keep or disable the behavior you want. The Apple File System (APFS) encryption on Sierra uses AES-XTS and AES-CBC ciphers for three kinds of native encryption, including no encryption, single-key file and metadata encryption, and multi-key encryption. The multi-key encryption can perform metadata, per-file and per-extent encryption. 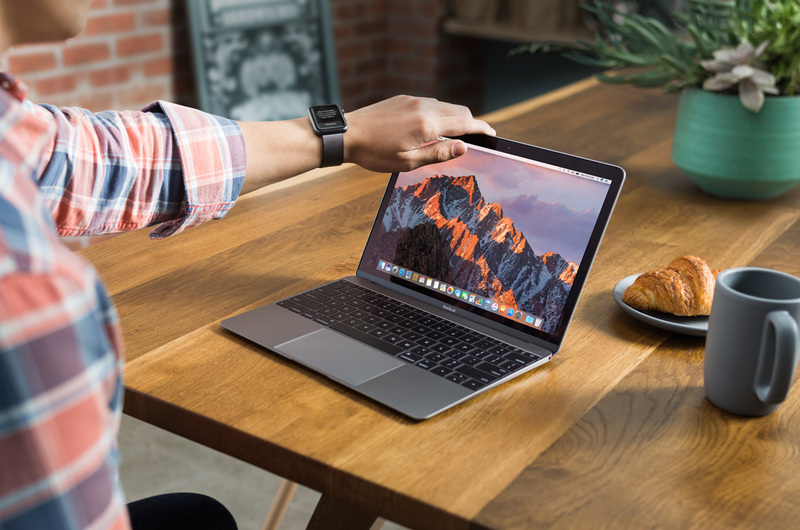 With security a persistent problem for anyone with a digital presence, this is a great way to make sure the information on your Mac is protected at all times. This is a security feature which according to Apple will make Macs more secure for users that have an iPhone or Apple Watch. It pairs your Mac computer with your mobile device using Bluetooth and whenever you are nearby, it detects your presence and unlocks your computer. If you are tired of passwords, and who isn’t these days, this is another option. 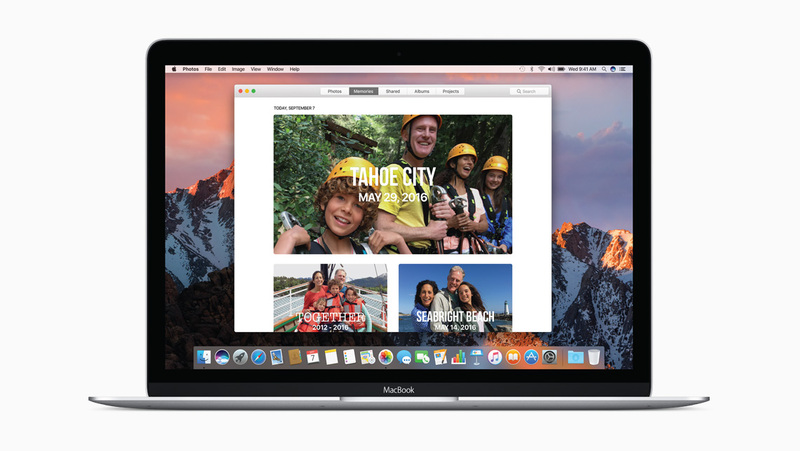 The new operating system is available as a free update from the Mac App Store, and it supports all Macs introduced since late 2009. However, Apple has warned some features may not be available in all regions or languages. You can go here to find out more.